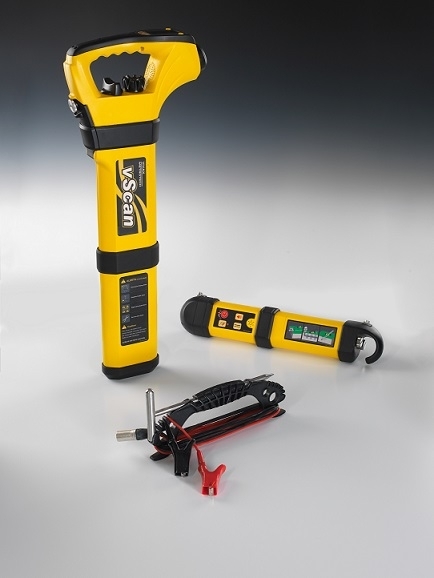 All vScan kits come with alkaline batteries, USB Cable, connection leads, ground stake, transmitter stand and soft carry bag. 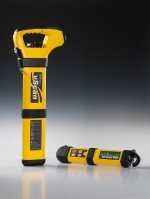 Worksite friendly controls combined with the latest electronic hardware and software, make the vScan the premier utility avoidance tool available. When operating outside user guidelines, various alarms can be triggered to encourage correct usage. The MyvScan software management tool allows easy transfer of data and allows the setting up of alarms, reporting and configuration details. For management wishing to lock these settings a USB lockout dongle is available. Use MyvScan to download free software upgrades for life ensuring your vScan is future proof and always up to date. A built in calibration check routine ensures cost of ownership is kept to a minimum while maintaining safety standards. Large, high resolution, high contrast dot matrix display: makes signal interpretation simple and intuitive. Auto backlight: for use after dusk. Compass line direction indicator: ensures correct alignment over utility. Visual, audible and vibration alerts: alerts can be set for: shallow cable, overload, excessive swinging and overhead cables. 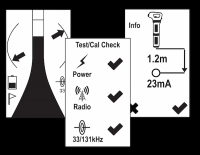 Focused 32 or 131kHz active locate signals: less confusing than dual signal locate. Passive signals: power, radio and also as a free option, cathodic protection (CP) 100Hz. Current measurement: helps positively identify the targeted line. Simple two button operation: on/off and information (such as depth and current). Large toggle operated mode switch. Movable speaker: allows the user to place the speaker against the ear while holding the receiver at arm's length. Robust ABS casing with rubber protection bumpers for all site condition use. 2GB auto data logging: helps identify usage and training needs. Areas and points of interest logging: helps filter relevant data for reports. Reliable and quick, USB download interface. MyvScan: software management tool for configuring the locator and downloading data to create reports etc. AA battery pack holds six AA alkaline batteries.